Lucifer delivered a truly divine episode that found the perfect balance between the celestial and the procedural. What the show struggles with sometimes is how to unite cases of the week with the celestial part of the series. The writers do a fantastic job, but it is an impossible expectation for them to be able to keep the show perfectly in balance every single episode. With such diverse aspects of the show, the two sides aren’t going to always be perfectly united. Though, when the magic happens, and the two sides do find a harmonious union those episodes tend to be some of the best. God Johnson was one of those and it delivered in a big way. While Lucifer is currently on a winning streak of terrific episodes, this was by far the best of this batch so far. 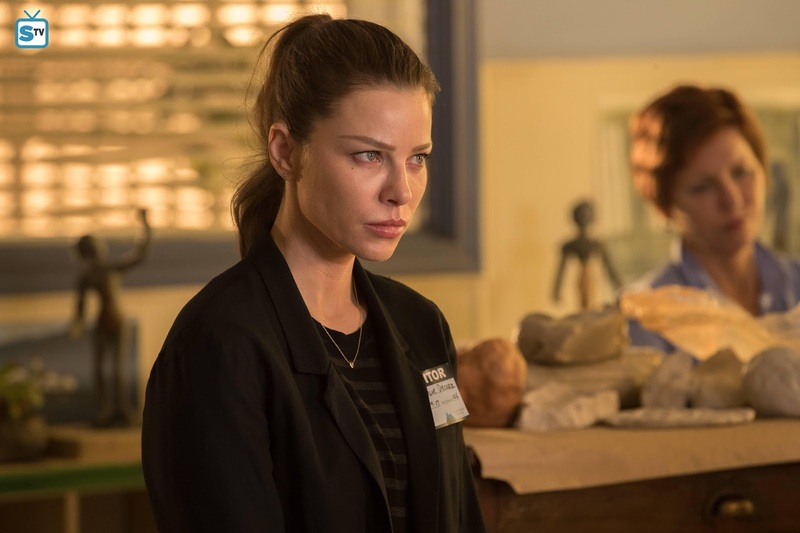 Ever since the series came back from its long three month hiatus there has been a focus on branching Chloe and Lucifer off with other characters. It’s fitting within the story given that the characters are still struggling to find a solid rhythm after Lucifer up and left. They have managed to return to being friends and are still a tremendous team, but there is a barrier that they have up around each other. For Chloe, she puts the barriers up to protect herself from more heartache. Even though she clearly still cares about him as was made evident by her reactions when she visited him at the mental hospital. There was clearly more concern than annoyance in regards to what he did. For Lucifer, he puts his barriers up to try and protect her all the while breaking his own heart by not being able to be with her. It’s a good thing that he wasn’t aware that Chloe sort of had a date because that would have really broken his heart even more. Even though said date was really no more than an interrogation it still would have stung. Lucifer feels he has been forced into this position of heartache because of his father and he’s determined to enact revenge for it which is why he’s been so focused on getting back up to Heaven to hash it out with his dad in person. So, as would be expected, when he thought his father had come to him it changed a lot of things. 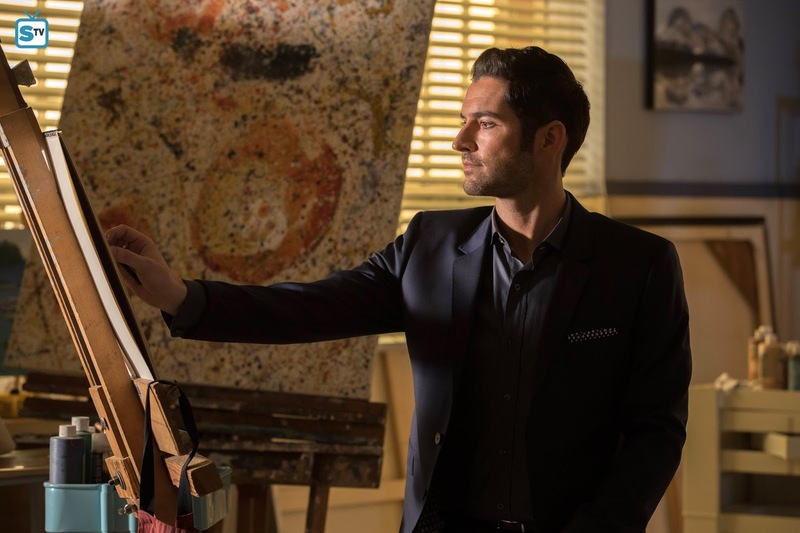 Now, here’s where things get interesting, even though God Johnson (Timothy Omundson) turned out to not be the real God he still helped bring to light a different viewpoint regarding Lucifer’s dad. 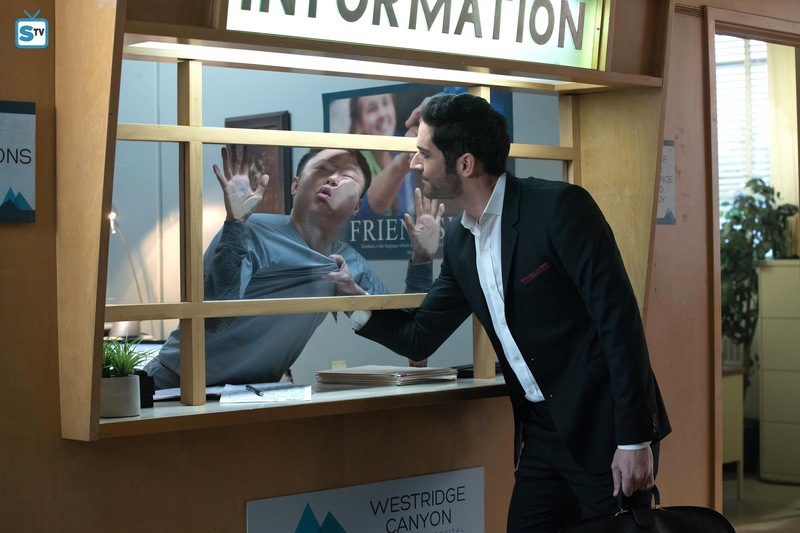 At the start of the episode when Lucifer was talking to Dr. Linda, he was still determined to enact his plans to get revenge on his parents. Then, when the moment finally came, and he thought he had them in a room together to tear each other apart something changed. Early in the episode, he’d seen a love in God Johnson’s eyes when he talked about his divine wife. And when he finally got them together he completely changed from vengeance to seemingly wanting them back together. He’s like any child of divorce, in that he just wants to see his parents back together and happy. 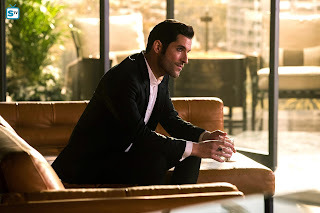 He might talk a big game, after all, he is his mother’s son, but in the end, the Lucifer sitting in LUX watching his parents dance would never be able to sit by and let them destroy each other. Dr. Linda made that observation as well and even called Lucifer out on it. She was the perfect person to be by Lucifer’s side through all this. She knows the truth about him, so that’s helpful, plus she truly sees the good inside of him that he tries so hard to hide away. When he was longingly watching his mom with God Johnson there was this wistful innocent look of a child that she immediately caught onto. While the Lucifer and Dr. Linda therapy scenes are always fun it’s a million times more fun when she’s out in the field and outside of her office. Lucifer is a handful but she knows how to handle him and he respects her which helps her break past some of his walls that others might not be able to get through. 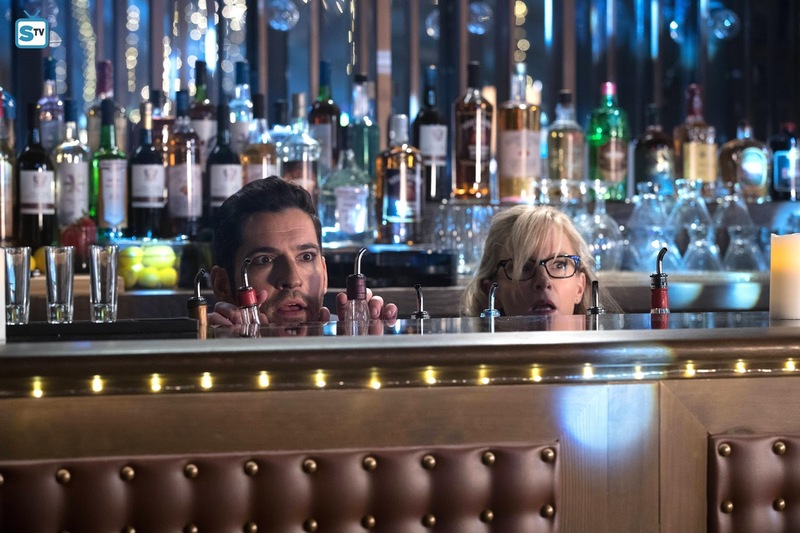 Not to mention that Rachael Harris and Tom Ellis are comedic geniuses together. 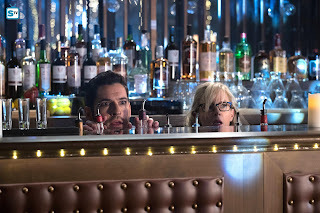 While it will be good to see Lucifer and Chloe start to work together more in future it has been really nice to see them both branch out. 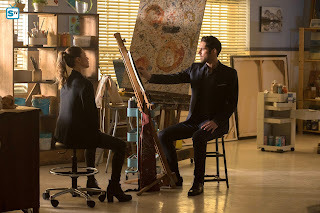 If Lucifer and Chloe were in every single scene together it’d get kind of boring kind of fast. That’s why it’s great for the writers to change things up from time to time. These temporary team changes have allowed Maze and Chloe to spend more time together which is always a pleasure to watch. Lesley-Ann Brandt and Lauren German are another comedic genius duo. Those two bounce lines off of each other so brilliantly that one can’t help but smile while watching them work. All of this has meant that Brandt has been able to really branch Maze out and show off this different side to her. It’s really great that Maze treats Chloe exactly the way she treats Lucifer. That’s just how she is around her friends and it’s hilarious. Though, it can’t be easy to work opposite of her in a scene. It has got to be nearly impossible to keep a straight face when Brandt is nailing the delivery of Maze’s flirty sarcastic lines. The very nature of this show serves itself to some of the best bloopers and it’s likely a safe bet that a lot of those bloopers involve people trying to hold a straight face around her. It wasn’t all fun and games for Maze after Amenadiel showed up. He was simply trying to get some closure with her since it’s clear he still has feelings for her and ended up dropping a big bombshell instead. 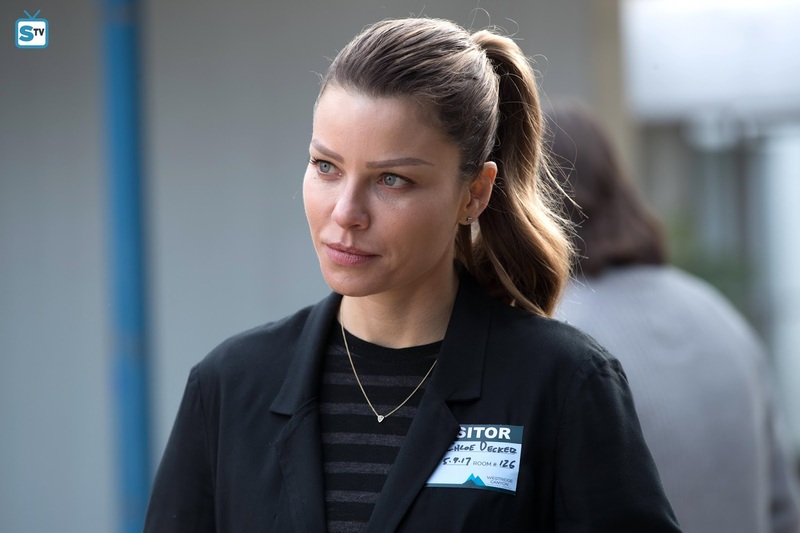 Much like Chloe, Maze and Lucifer have had a tedious relationship lately, so it’s not entirely surprising she was left out of the loop, but when she found out it was that look on her face that revealed just how much it hurt her to not be trusted. She is still his best friend and has been by his side through everything and now as far as she knows he intends to just leave her behind on Earth. 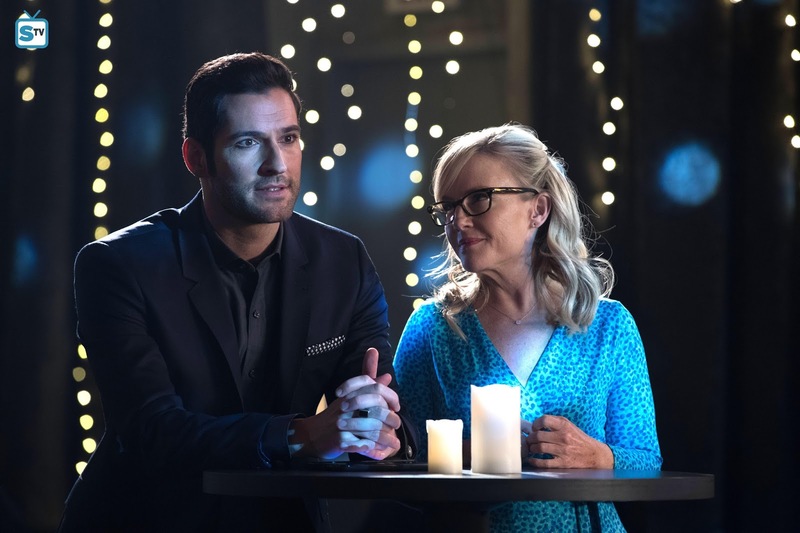 Since Lucifer didn’t tell her himself, she has no idea that he intends to lock his parents in Heaven together and likely return back to Earth. Even though Heaven was where he was born, and he’d probably like to go back for a quick visit, his real home has become the one he’s made on Earth. There is no way he’d ever be able to permanently leave all his human friends and Maze behind for good. However, everyone knows that Maze can be just as impulsive as Lucifer, so she’s likely to go off on him without giving him much chance to explain. It should be fun to watch her confront him about everything. Even though all the celestial beings have at some point talked about wanting to leave Earth behind, they all seem to have a bit of a sweet spot for it. Even Charlotte has come to find a fondness for certain aspects of the human race her ex-husband created. Dan is perhaps her favorite human of them all. She seems to see him as a bit of a kindred spirit. Though she hurt him pretty bad previously, by using him, and he made it clear that his forgiveness for that will not come easily if at all. In this episode, he started off holding his ground with her but by the end, he was beginning to cave. He let her into his place and it seems likely that they spent some time together. Who knows if that was in a just friends way or in a friends with benefits way, but he still let her in. Much like in all the other recent character pairings it has been fun to watch Dan interact with someone outside of the core team. Kevin Alejandro and Tricia Helfer have a fun dynamic. One wouldn’t think they’d be able to find any common ground for their characters yet they have. The connection between the characters just shouldn’t work and somehow it does. If Charlotte ends up staying on Earth it’ll be interesting to see how the show further develops this odd bond they have. It could be fun to watch Charlotte form a relationship with a human. It would be the ultimate irony given her general dislike of humans. On that same note, it would also be epic to finally see a showdown between God and the Divine Goddess. The fallout from that sort of confrontation could be game changing for the series. Dr. Linda was right to be concerned because it’s likely that humanity wouldn’t escape that battle without grave consequences. Though, as was shown during that gorgeous faux reunion scene, Charlotte does still harbor some feelings for her ex, so perhaps it might not be a totally apocalyptic reunion. It would be interesting to see how a real reunion between them goes down. The show bought itself a little time with faux-God, but eventually, they will have to introduce God himself. It’s sort of like Superman in Supergirl, an off-screen character can only be alluded to so many times before the character has to be given flesh and blood life. The show will eventually have to deal with the God-sized elephant in the room. Now that Lucifer is on the fast track to putting the blade back together that could happen sooner than later. It’s quite intriguing that the different parts of this blade have such different effects on humans. God created humans with the capacity for immense kindness and extreme evil hatred. The varying sides of the blade cause the extreme manifestation of both those components. Now, what would be interesting, is that after the blade is put back together if it somehow lands in Chloe’s hands. She is a creation of God and blessed into being on his orders, so would the blade have the same effect on her? How special is she? That’s another thing the show really needs to dive into in these last few episodes and definitely into next season. Chloe’s origins have taken a back burner with everything else going on and hopefully, that will become a bit more prominent in the story going forward. It’s something that has been hanging around for awhile and even though it has fed the recent storyline the issue itself of Chloe being of divine origins hasn’t been delved deeply into. Perhaps for that, they need God himself, so just another reason to hope for the divine creator of all to make an appearance sooner than later to reveal his plans and intentions for her. Someone else whose story is still kind of hanging as the season rapidly pushes towards its finale is Ella. She is quite a perplexing character. She has many obvious layers yet the show hasn’t fully pulled back any of those layers. Many hints have been given about her having a dark past, but no real payoff for that information. Sure, they did briefly graze over the fact that she stole cars and her brother is still apparently in the habit, but nothing really beyond that. Then in this episode, she missed the reference to “One of Us” the big hit 1995 song. For a woman who has made it clear of her religious inclination that seems a bit odd. Either the writers are struggling to figure out what to do with her and are just tossing things out to see what will stick or something else is going on. These writers are smart, very smart, and the likelihood that they are just tossing stuff out there seems slim. It is beginning to feel like there is something big coming down the pipeline for Ella. What that could be is anyone’s guess, but there is definitely something that the writers seem to be trying to build up for her. Hopefully, next season will see them delve into who Ella is and her background origins. Ella is like an adult Trixie and that provides so many possibilities in the overall story if the show just starts to tap into what she has to offer. 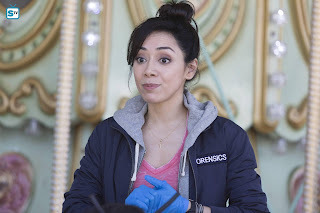 Aimee Garcia is a phenomenal actress and has an enormous depth to her acting so it would be great to see her role expanded. But she still does phenomenal work with what she’s given. She has exceptional chemistry with every character on the show and excellent rapport with all the other performers. Ella is a fun character who has a ton of potential, so hopefully, it’s only a matter of time before this character unleashes some surprises. Until then it’s at least fun to marvel in the lightness she brings to some of the heavier moments. This was a very strong episode and a large part of that is because the case of the week was an integral part of everything that was going on. It tied in directly to the celestial side of things while still giving Chloe plenty to do on the human side of the case. 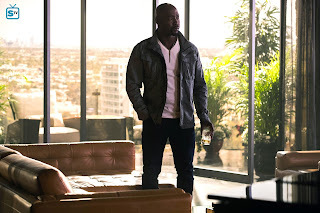 Lucifer got to hilariously go under cover providing for one of the coolest looking scenes in awhile as God Johnson and Lucifer walked through the room of rioting patients that Lucifer provoked. Timothy Omundson was a fantastic guest star who had insane chemistry with both Tricia Helfer and Tom Ellis. He really delved right into the character and made it very believable that his character was truly the real God. The healing thing was a cool trick and a nice little slide of hand by the writers to make the viewers believe. Omundson was an absolute pleasure to watch and fans would certainly welcome him back should the show ever truly give a flesh and blood body to God. Chloe got to work with Maze to hilarious results. 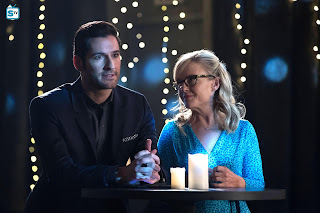 Lucifer and Dr. Linda had some terrific scenes together. Something was set up between Dan and Charlotte. Maze finally found out about Lucifer’s plan. And the big kicker is that God Johnson’s belt buckle has brought Lucifer one step closer to finishing the blade that could likely have catastrophic results on everything and everyone if he chooses to use it. A ton happened in this episode and it’ll be exciting to see what happens in these last two episodes. 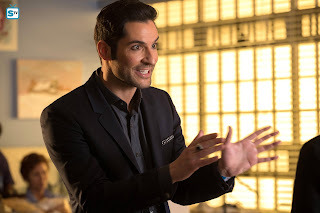 Be sure to tune into the next episode of Lucifer next Monday, May 22nd on FOX to find out what Lucifer will do next. Hit the comments with your thoughts about this episode. Did you like the way they handled the faux-God? Do you want to still see the real God appear? Will Dan and Charlotte develop some sort of relationship? 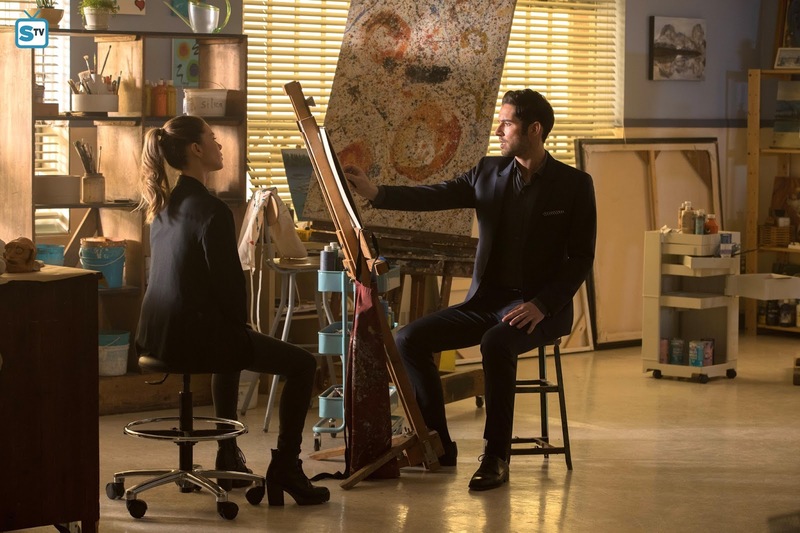 Will Chloe be able to forgive Lucifer? 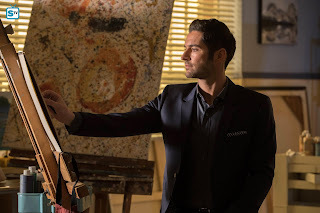 Will Maze try and stop Lucifer or try and help him? What do you want to happen in the last two episodes?